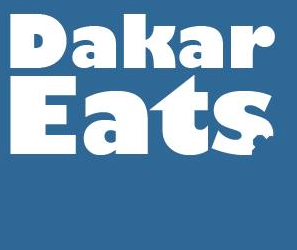 Located in the heart of Marche Kermel, Le Kermel is a Dakar institution. The best French bistro in town – decorated like a mini brasserie in Paris – there is something for every francophile here whether it is a plate of fresh oysters from La Somone, a full charcuterie platter featuring salted butter, or a delicious three course French meal complete with a wine selection that is always spot on. They also do a steak tartare that is the best in town. The managers of Le Kermel, Cedric and Nicholas, have been managing Le Kermel since 2013. Cedric told me the intriguing history of the Kermel building. The building was constructed 57 years ago by an old French family that worked in the peanut industry in West Africa. At the time, the building served as an auditorium and later as a small bar and restaurant. When Cedric took over, he renovated the restaurant, and has made a lot of changes to give the restaurant that perfect bistro vibe while at the same time preserving the historic beauty of the building. For lunch, I had the formule, which means an entree, main course, and then dessert. My lunch began with a salad de pieds-de-cochons (a tender pork salad with red peppers and onions). My main dish was hachis de veaux sur un lit de polenta – basically cooked veal with mashed polenta and then topped with a delicious green pepper sauce. For desert – lemon meringue tart, fait maison. Everything was rich and delicious, everything was fresh and perfectly French. The restaurant has two rooms: an air-conditioned room with kitsch glass doors and then a bar that peaks into the market. Best spot in the restaurant for lunch is the table for two by the doorway, giving you a view of the fresh flowers in the market. All the food served at Bar Kermel is fresh and homemade. Cedric works with a wide network of food vendors to ensure that his ingredients are always top quality, and that his wines are fantastic. Cedric offers a variety of traditional French dishes while also serving a variety of local fishes. Le Kermel is open everyday for lunch and dinner except Sundays (lunch only). They are easy to find on Google Maps and their Facebook page gives updates on their events: Le Kermel hosts karaoke nights or wine tastings from time to time. Previous The scoop on Jumia Food, and why I am a big fan.